Are you getting separated with all your friends as your school days or college days are getting over very soon? 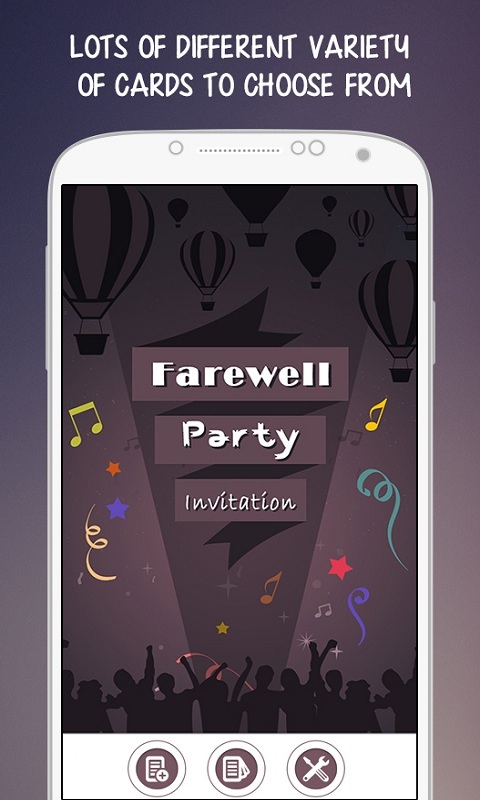 If it is, don't make it too late prepare an awesome farewell party plan and invite all your friends with the best farewell invitation cards from this app. 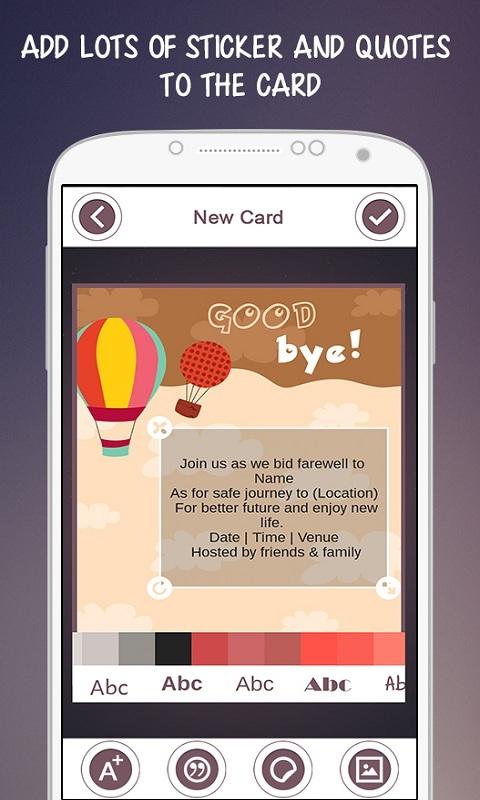 Select any of your card from various different options of party cards with lots of different options of designs from cards. Add lot of different quotes, images, stickers etc. to the card you are making. How to do it: 1) Choose your favorite card from lot of different options of card designs. 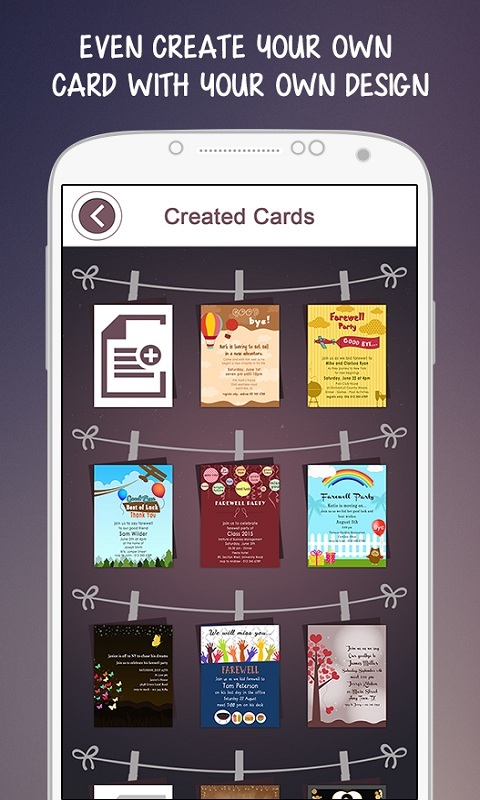 2) Also create your own card with your favorite color and design for the background. 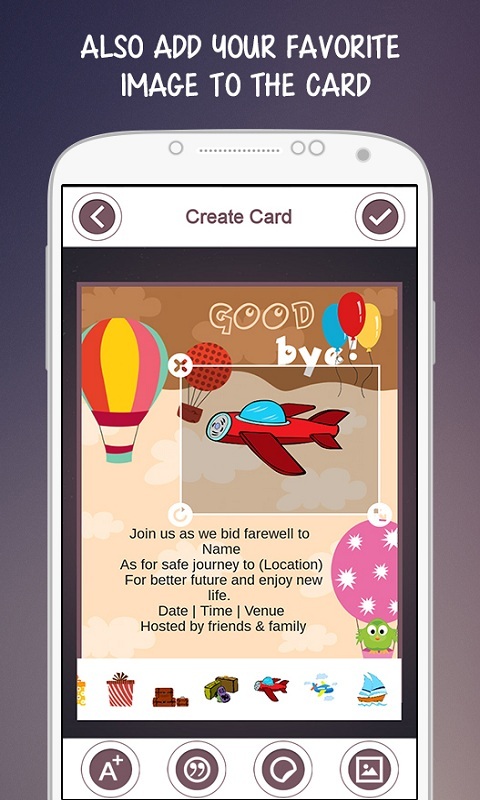 3) add lot of stickers, quotes and images to make it look much more cool. 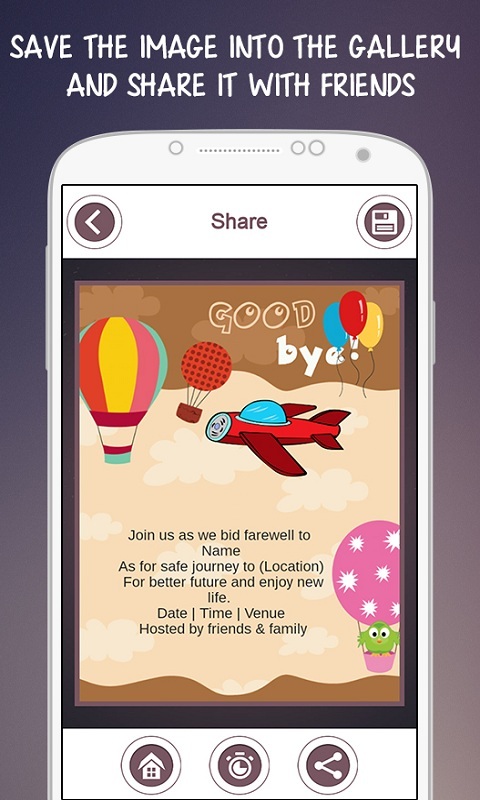 4) Save it to gallery and share it with all your friends and invite them to your amazing party.